Book Challenge Day 13- A Non-Fiction Book That You Actually Enjoyed | What are we...the Whos? This is the incredible story of a boy who is ripped from his home in the middle of a war and, despite his best efforts to remain uninvolved, forced into a life of drugs and violence. I was spellbound from the moment that I read the first page. Part of me just couldn’t believe that people actually lived these lives. I sit in a comfy desk chair all day and complain that my work projects don’t always go the way I want them to. These children were forced to become soldiers when they should have been on the playground. This book really opened my eyes to what real unhappiness is and makes me think twice about complaining about my life. Tomorrow we have: The book you’ve read the most times. I’m sure it will be a shock to all of you. 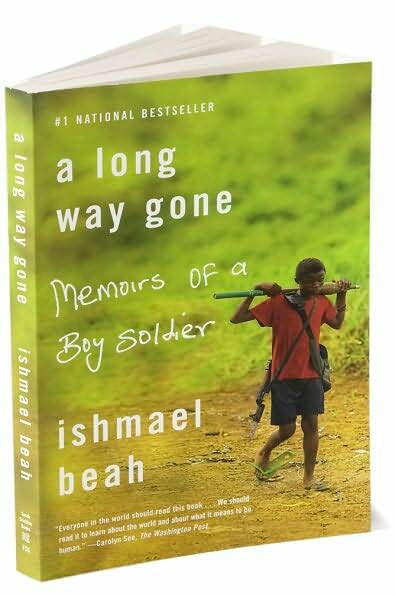 Posted in books, Reading, Writing and tagged 30-Day Book Challenge, A Long Way Gone, Ishmael Beah. Bookmark the permalink.